Troy Galbraith, Indianapolis, Ind., ’14 Spitzer, B/DA, 10.262, 84.96 def. Terry Ticel, Lawrence, Kan., ’10 GXP, G/AA, foul. Tyler Bohannon, Louisville, Ky., ’67 Corvette, SS/HA, 10.349, 97.71 def. Dennis Lund Jr., Davenport, Iowa, ’88 Beretta, SS/CM, 10.616, 146.24. Austin Alvey, Taylorsville, Ky., ’69 Nova, G/SA, 11.015, 117.52 def. Lyn Smith, Pontiac, Ill., ’73 Century, I/SA, 11.422, 114.16. Edmond Richardson, Greenbrier, Tenn., ’18 Casey Lane, 8.917, 173.09 def. Christopher Mullins, ’18 Chromworx, 8.922, 173.07. Larry Roedel, Evansville, Ind., ’27 Don Davis, 9.939, 151.29 def. Nichole Stephenson, Hillsboro, Ind., ’69 Camaro, 9.760, 150.05. Denny Napier, Pataskala, Ohio, ’77 Vega, 10.904, 157.63 def. Rocky Van Note, Redkey, Ind., ’71 Vega, 10.926, 144.77. 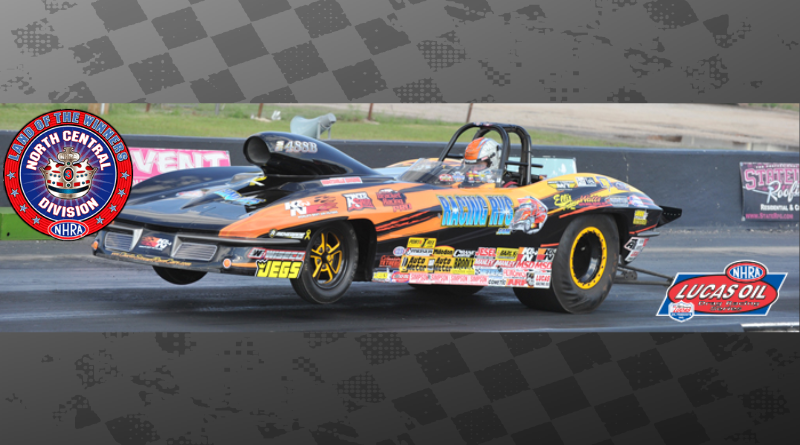 Tommy Turner, Naples, Fla., ’12 GXP, 6.512, 215.79 def. Mark McDonald, Boonville, Ind., ’67 Mustang, 6.656, 202.91. Ed Dudley, Fishers, Ind., ’11 Spitzer, 8.857, 88.71 def. Zach Sackman, Channahon, Ill., ’10 Spitzer, foul.